Hey, We’re Back Again! Sorry For The Lack Of Posts Recently, I Was Kind Of Busy With Projects & Stuff But Now That I’m Free Again I Decided To Post Some New Tutorials Based On The Top Rooting Requests That I Was Getting. So Today, In The #RRM (Requested Rooting Methods) Series, I’m Going To Show You Guys How To Root Samsung Galaxy A9 Pro 2016. This Method Was Requested By Rishit Malik. And I Hope I’ll Be Able To Help Him Root His Phone! The Following Method Was Originally Posted By XDA User Ashyx, He Is The One Who Released The TWRP Recoveries On XDA For This Phone. (As Far As I Know). So Yeah, I Don’t Own Anything, I’m Just Showing A How-To Tutorial To Help People. Your Samsung Galaxy A9 Pro, Needs To Be On Android Marshmallow. In order For This Method To Work. Step 1: Download The Samsung USB Drivers From The Download Button Above. Step 1: Setting Up Odin Is Easy. Just Download The Odin File From The Button Above. Booting Into Recovery Mode Is Easy, Just Make Sure To Enable USB Debugging & Unlocking OEM Like I Mentioned From The Developer Settings Before You Follow The Following Steps. Step 2: Launch Odin On Your PC, Connect Your Device With Your PC Via It’s USB Cable. The Instant You Do It, You Should See An “Added” Message In Odin. Like This One. Step 5: Now Click And Select On AP Tab Button In Odin, This Should Open A File Explorer. Browse Through & Select The TWRP Recovery RAR (.Tar) File You Downloaded Specific To Your Device Earlier. NOTE: Before You Press Start Ensure that The Following Are Selected. Step 6: Following That, Click on the Start Button Located At The Bottom Right Side Of The Screen To Start The Rooting Process. And Now Your Phone Should Have TWRP! Now, All You Need To Do It To Check It By Booting Into Recovery Mode By Pressing and holding Volume Up, Home and Power Buttons simultaneously. After you’ve successfully gained Flashed The TWRP Recovery On Your Samsung Galaxy A9 Pro All That Is Left Is To Use It To Flash The SuperSU.zip File And You’ll Be Good To Go! Step 1: Download the SuperSu.zip From The Google Drive Button Above. Step 2: Put It Somewhere Accessible Like The Download Folder Because You’re Going To Flash It Later. 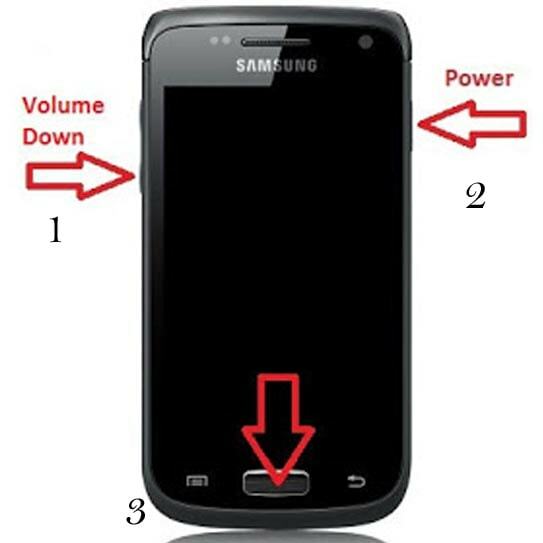 Step 3: Boot Into Recovery Mode By Pressing and holding Volume Up, Home and Power Buttons simultaneously. Step 5: After That, You’ll Open TWRP’s Built-In File Explorer. And You Know The Drill Lads, Browse Through It And Select The SuperSU.zip File You Downloaded Earlier. NOTE: Of course, You’re Not Suppose To Flash The “XenonHD ROM.zip” It’s Just An Example ScreenShot I’ve Put There Just To Make Things Easier To Understand. You Need To Select The UPDATE-SuperSU-v2.46_AndroidCUT.zip And Flash It. So after you’ve gone through all that, It’s time to see if your Samsung Galaxy A9 PRO is successfully Rooted or not. If you’ve tried Rooting your Device or any other phone, in general, Before. You’re probably familiar with the Root Checker App. If you’re a newbie however and don’t know what it is. It’s basically what it sounds like. It checks whether your device (In this case A9 PRO) has root access or not. It is 100% Accurate and I recommend this all the time to check if your phone is really rooted or not. And That’s Pretty Much It! Again, This Rooting Method Was Requested To Us By Rishit Malik And I Hope I Was Able To Help Him In Rooting His Samsung Galaxy A9 PRO. Wanna Request Rooting Method For Your Own Phone? Check Out This Form.